BT: We should start by getting the usual 'foundation' questions out of the way. I know you don't like to talk, but can you please tell us a little about yourself - your family background, place of birth, education, etc? SM: This truth is that I don't really like talking about myself. I was born in Warsaw, where I live today and where I also graduated from college. If I remember correctly you were formerly a Mechanical Engineer and wrote a PhD thesis on the properties or stress resistance of sheet metal? Exactly. Dissertation defended in 1989. No sense to speak about title because for laymen, it is completely incomprehensible. You gave up a career as an academic to pursue martial arts as a full-time professional right? It's a dream many of us have, but what are the realities? Yes it is true swapped my university career to become a professional Tanglang teacher. I do not regret it as that kind of life has its advantages, but also serious drawbacks. I have a lot of free time but certainly less money than if I was a university teacher today.  I know you have a diverse background in martial arts (both Chinese and Japanese styles), before the commencement of Mantis Boxing training. Can you give us a run down on both the styles and the teachers.I began by practicing Ju-Jitsu. My teachers were the precursors of Judo and Ju-Jitsu in Poland. The next step was 5 years of training Wing Chun. Initially, with the late Milan Prosenica of Yugoslavia and later with master Leung Ting from HK. From those years I remember Milan Prosenica had a very practical approach to free fighting training. In 1985 I started training Tanglang. In addition to Tanglang I also practiced Yang style Taiji Quan, Xingyi Quan and a little Yi Quan, western boxing and Bai Mei Pai (White Eyebrow style). Have you continued to train in any of these systems? If so, have they influenced or effectively supplemented your Mantis Boxing? Until now, I practice only Taiji. The biggest impact on my training in Tanglang has been an exercise of Xingyi. Primarily through better understanding of energy emission in Tanglang – fa jing etc. You've been training since the 1970's and it's taken up the greater part of your life. What got you into martial arts and more importantly, keeps you involved? Yes it is true I've practiced most of my life. In fact, the most important addition to knowledge of the martial arts for me was meeting many wonderful people. I have encountered most of them through doing Tanglang. That's right, not a dream :) After training Wing Chun I felt frustrated and thought to start something else. Coincidentally, I bought a book about Tanglang and so it began. As mentioned, your first formal instruction in Tanglang was under the pioneering Western master Kai Uwe-Pel of Germany. How did that connection come about? As I have already read the book and examined the posted techniques. I contacted master Lee Kam Wing from HK. He gave me the address to Kai Uwe. At the time you were training with him he would have most likely been in his prime right? I have seen some early footage of him and there is little doubt that there were not many outside of Asia at his level at the time. Did you find training under him a big step up from your previous gongfu training? ​His skills were at that time very high, but only meeting in 1993 Master Yu Tiancheng allowed me to go to a higher level of knowledge of kung fu. Were you ever tempted to further your training in Hong Kong or perhaps in Malaysia? I know you visited there in the early 90's. Visits to Malaysia and Singapore have given me a better understanding of the Luo Guangyu lineage. Well understood, however, that this is not what I expected. At that time the number of forms (taolu) in that Tanglang line for me was not acceptable. Personally I feel that a lot of the classical flavour of Qixing Tanglang has been retained in South East Asia. What was your impression of the descendants of Wong Kamhong (Huang Jinhong)? ​Yes I agree. It was a very informative visit. However, the focus was still largely on form. You eventually ended up meeting and subsequently training with the late Master Yu Tiancheng of Yantai? What lead you to make the switch from Luo Guanyu's lineage to Lin Jingshan's? The transition from Luo Guangyu's line to Lin Jingshan's line was like replacing a family car for a sports car. The family car is safe and secure but only the high power sports car can give you real pleasure. I felt so much this power when I started practising in Yantai. What were the major differences that stood out between the two branches or was it mainly Yu himself that stood out? The major differences between the two branches are body movement (shen fa), footwork (bu fa) and most importantly, simple and logical introduction to traditional free fighting. I believe you were one of the first Europeans to begin training in what some know as PRC or Mainland Tanglang (a stupid but convenient title). Was there any backlash or did you encounter any strange reactions to your shift? At that time many people could not understand it. They believed that PR China can only learn the sports version of the well-known media master Yu Hai. At that time some of my students did not accept this change and left. Back to Master Yu Tiancheng - It is without a doubt that you are a very lucky man to have developed such a close relationship with one of the last living legends of Shandong Tanglang. Yes it is true, I was very lucky that I met him and that he accepted me as a student. In Yantai and throughout the province the Yu brothers (Tiancheng and Tianlu) along with Zhong Lianbao, are the most widely known of Lin Jingshan's disciples. Even in Qingdao it was said that Tianlu was the greatest exponent of Lin's taolu (both barehand and weapons) and Tiancheng was the fighter. Having trained with both brothers you are well placed to speak on their approaches. True. Yes, my uncle master Yu Tianlu was considered a specialist in taolu, as can be seen in his movements today. My teacher Master Yu Tiancheng was the expert in free fighting in Lin Jingshan's school. It is interesting that master Lin Jingshan did not receive fees for training from the trio (Yu brothers and Zhong Lianbao). I heard this from my teacher. It is no surprise that between the three of them we can see pretty much the complete package of Lin's teaching. Having seen Yu Tiancheng's Tanglang (via his students) with my own eyes for the first time in 1998 I was immediately impressed and understood the quality I was witnessing. Most importantly to me, my teacher Kang Zhiqiang took me aside and gave me his appraisal of Master Yu. Kang clearly said that Yu Tiancheng was the guardian of the school (referring directly to his fighting role). From what I know, Master Yu has many times fought with representatives of other schools often accompanying him was his oldest student Liu Xianming. It's great that you have a solid relationship with Liu today. Although there is still some discernible division between the Hong Kong, Taiwan and PRC descended schools of Tanglang in the West, it appears that people are becoming more comfortable with what was not long ago viewed as the 'new kid on the block'. Schools offering Tanglang from Mainland Chinese lineages seem to be opening all around the world. However, it was not long ago that all Tanglang coming out of China was regarded as modern competitive wushu/performance art. Have you encountered any 'image' problems as a result of this impression? As I mentioned earlier, I only encountered this issue in the beginning of my shift. ​Of course it's true. Yu Hai Style blurred the true picture of Lin Jingshan's Tanglang line. In Yantai I heard many opinions of Western people that are interested in practicing and it's clear that they do not want to learn the Yu Hai style. Lin Jingshan's death meant that some questions will remain unanswered. Whether changes to the system were caused by teaching us, Western people, I do not know. One thing is for certain, he showed us that Tanglang is a system that works as much as possible in combat. Your association, the Polish Praying Mantis Kung Fu Society reached a significant milestone this year (2010). What have been some of the standout highlights over the years and who have been some of your more notable members. I have definitely met some tough characters over there. So this year we celebrated our 25th anniversary. Over the years we have had many successes and failures. Once, there were several groups Tanglang out of just a few. We moved Tanglang to Finland and opened a group in the Czech Republic. For this I worked together with my oldest students and for that I warmly thank them. You have continued to return to Yantai since your master's death to continue training under your martial family. I know we have discussed many times in the past about the clear differentiation between the earlier and later generations of Yu Tiancheng's descendants. What is the main difference? ​The main difference is the current training focuses more on preparation for competition. What was the specialty of Yu Tiancheng and what are some of the special skills retained by your senior brothers? Master Yu's specialty was his bu fa (steps) in free fighting. After his death, the stepping method in fighting against three opponents was shown to us by his oldest student Liu Xianming. It was an amazing feeling to see this move. What are your thoughts on the importance of fighting in Tanglang? What was the philosophy of your master in this respect? Ability to fight free in our style is the highest goal to which we aspire. Training Tanglang components without free fighting is like a car without the accelerator pedal. Can you please share Yu Tiancheng's saying regarding the opportunity to fight? Did he share any fight stories? Master said the opportunity to fight was like a birthday. He said if you have the opportunity to prove yourself in combat, it will be your birthday gift. Master and his oldest student Liu repeatedly battled with representatives of other schools. However, his last fight in the street was against five assailants who tried to steal his scooter. After that his forearm was scarred by the knife. The scooter, of course, survived and the attackers withdrew and paid master generous compensation for the assault. I was most impressed by Yu Tiancheng's fight training, continuing long after having already having established himself as a respected master. Can you tell us about his practice of consecutively fighting each student? One of the methods in free-fighting which master Yu Tiancheng used in his school was an exercise against five opponents changing every 2 minutes. The second exercise was when one student was in the circle while outside were several other students. The person inside was attacked in turn by all the others. This is very similar to excercises from my school. However, what is rare is that Yu Tiancheng continued to put himself in the circle and consecutively fought all of his students, even until an advanced age. I will say one more thing, although it is not very educational. In his youth Yu could drink a bottle of vodka and later fight with five changing opponents. Can you talk a little about the methodology of Tanglang Sanda. First of all, please outline the distinction between this practice and that of modern sport Sanda/Sanshou. Tanglang Men underlines the importance of practicality and thus sanda (free-sparring) is the main element of the training session. Tanglang sanda encompasses all areas of fighting, beginning, at the elementary level (chuji sanda), with open-palm strikes, low kicks and a restricted choice of sweeps and throws. At the intermediate level (zhongji sanda), which is commenced after a few months of training, we move to full contact fighting using all striking surfaces (elbow, knee, head, arm, foot, fist, etc. ), with the exclusion of kicks and strikes to the groin and eyes. This level is practised for a minimum of two years. At the advanced level (gaoji sanda) we use unrestricted contact, including everything from vital-point attacks to stamping kicks of opponents on the ground. The second level is the most difficult and dangerous stage in the fight-learning process, far more so than the last level. And yet only mastering the second level (zhongji sanda) can enable us to move smoothly to the third level. At the second level we learn how to react naturally to all types of hand and foot strikes. Adding groin strikes at the next level is no longer as threatening. What is your view on sport fighting? Is it useful for us as practitioners of traditional martial arts to enter into the sports arena? Can we achieve success based on 'traditional' training methods? Sports competitions are the best and safest method of confrontation with others in fighting. I also think that some traditional training methods may be used in training preparation for competition. But in the end I don't like sports. Sometimes they may do more harm than good. On their own they can become quite abstract. What is your view on the integration of modern training techniques and sports science to the practice of traditional martial arts? Modern techniques and sports theory are applicable in traditional kung fu training. Did Yu Tiancheng utilise Western/non-classical training methods or apparatus in his training? We used pads and mitts during striking training. I know Yu was an advocate of Iron Palm training and possessed a tempered and extremely heavy hand. What was his advice regarding the practice, as passed down by Lin Jingshan? Many of his techniques were based on iron fist skills. This training lasted for 100 days and the mystery lay in the formulation of the medicine that was used before and after exercise. Just as Lin believed that the iron fist training can take place only between 18 and 24 years of age. Very interesting. Many schools do not believe in a finite period of iron palm training. Can you share some of Yu's reflections on his master Lin Jingshan? I taked repeatedly talked with master Yu about his teacher. Sorry, but about certain issues I can not speak. One thing is certain, Lin Jingshan was a great master. No doubt. As small as he was, he must have been great to survive all of those heavy sparring sessions with brothers as large as Luo Guangyu and Yang Weixin. In such cases, I am sure that he used his speed. Having spent a lot of time in Yantai since the early 90's, you have endured a significant amount of arduous training. Can you share some of your experiences? One experience is important - arduous training is the only key to success in Tanglang. What is your favourite technique, drill, training method, taolu or weapon? I like all taolu but if you are asking what my favourite hand forms are: Rou Ling, San Lu Zhaiyao and Bai Yuan Tou Tao. Favourite weapons are Gun and Qiang. Favourite techniques are Gun Bang and Bimen Jiao. The best training methods in my opinion are Zhan Zhuang and our free fighting methods. I know you are also well versed in the gongfu of drinking. I've had some near death experiences myself in Shandong. What about you? Some people find the tales of drunken training a little hard to believe. Is being Polish an advantage in this respect? Yes I also had a similar experience with drinking in Yantai. As a result, I felt they were trying to kill me with alcohol. It is a specific method known in Shandong province. As a Pole I was able to survive this without much damage to my health. Having received and thoroughly absorbed the entire transmission from your teacher, do you feel a lot of pressure and responsibility in passing it on? Is there hope in this day and age of preserving such antiquities effectively? I feel such pressure. Unfortunately, at present, I do not know anyone who could understand Tanglang sufficiently enough to replace me. Obviously having lost your Shifu added another level of complexity to your role in the propagation of Tanglang. I believe that these days you are occasionally consulted by your brothers in Yantai on matters of Yu Tiancheng's teaching. This is an amazing situation, but was possibly something your teacher envisioned right? Master's death has set me personally in a very difficult situation. Master did not indicate his successor and that has caused confusion in our Tanglang family in Yantai. However, I think, in cooperation with the senior students and other Tanglang masters I am able to continue his way. I'm sure that you can. In reality though, how many masters do actually formally manage to nominate their successors before death? In fact in some cases they may have intentionally not done so. I hope I am still thinking about Tanglang on my deathbed, though unfortunately it's probably not the best time for such decisions. Knowing the details of his death, I think he wasn't thinking. At the time of his death he was still full of vitality and not supposed to think about his successor. Can you share a treasured memory from your time with Yu Shifu? Once when I talked with the master, he gave me this advice – watch others, take from them whatever is best to improve your own style. That's excellent advice. Very progressive. Where do you go from here? You have done exceptionally well in spreading your family's Tanglang throughout Europe (particularly with a thriving school in Finland) and have continued to honour your teacher's memory with all of your energy. Will you die with a dadao in your hand or maybe frozen solid in Yuhuan Bu in minus 30 degrees Celsius in a Warsaw park at the age of 90? I will remind your boys of that at that time. Thank you very much for your time and effort in answering these annoying questions brother. It has been a pleasure cooperating with and learning from you over the years. As I have said to you in private, the enthusiasm and dedication of you and your organisation has kept me going since the death of my own teacher eight years ago. Not to mention that you and your students have become some of my closest friends. It is truly a family that we belong too, not just a style of martial art. Do you have any closing statements or a message to add? The traditional Tanglang Men system is a martial art. The need to protect or fight was at the root of creating systems such as Tanglang Men. Today, various people can start learning the system, driven by different objectives – some want most of all to learn how to protect themselves, for others this can be less important. And yet a true traditionalist will not consider the system traditional if the basic element – training routines focusing on developing combat skills are eliminated. For a traditional, orthodox kung fu practitioner, forms are only one of training methods serving this goal. They are not a goal by themselves. Absolutely true! Thank you again.